It’s time to celebrate and have a good time as the Cambridge Lions Club prepares for their 40th Annual Variety Show. 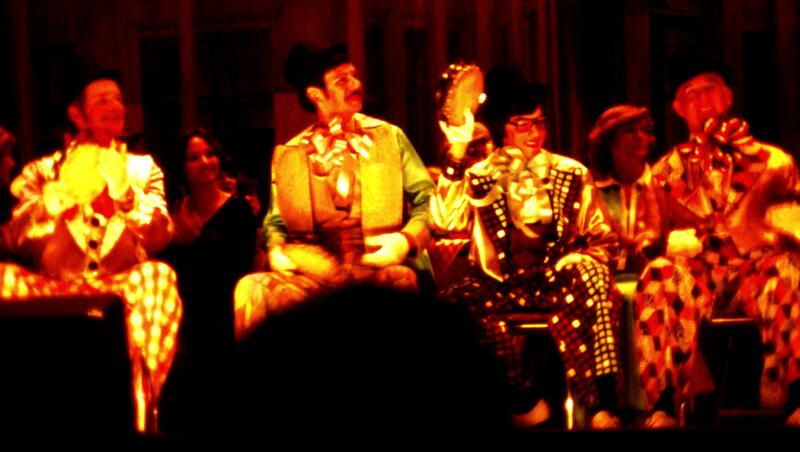 Back in 1974, that first show was simply called, A Minstrel Show. Many familiar local personalities participated in that first show at the State Theater for a two night run. 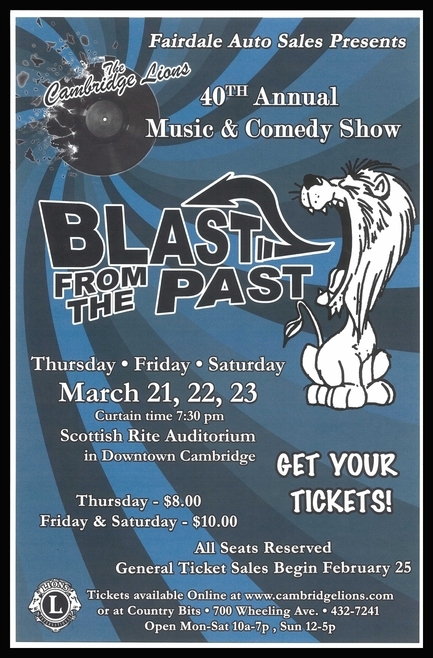 Two of those performers, Ron Guthrie and Dave Wilson, actually happen to still be around today, and will be participating in this year’s show, Blast From the Past. These guys never seem to tire of the antics of the Lions Club Show. Both fun loving fellows remember that first year when members persuaded young Dave Wilson to surprise Ron Guthrie with a pie in the face before intermission. Little did they realize that the cream on top had soured after being left at room temperature for several hours. When Ron got his pie-in-the-face, he also got quite sick for most of the second half of the show. By the way, Ron did get even for the pie-in-the-face, as he had promised Dave that first night. Several years later, five to be exact, it was arranged for Dave Wilson to get arrested during one of the skits. Handcuffs seemed the appropriate method to get his hands behind his back. And you guessed it, Ron surprised him with a pie-in-the- face. Dave said recently he was rather relieved at that time, because he had been waiting for it to happen for all five years. How did this all get started? Back in 1973 the Lions Club had agreed to help finance a wing for Guernsey Memorial Hospital and they were looking for a way to raise some extra dollars. As luck would have it, Bob Jonard moved to the Cambridge area with his musical family. Bob had recently been involved with minstrel shows in both Adena and Wooster, so he encouraged the local Lions to give it a try. Of course, many felt it wouldn’t work. 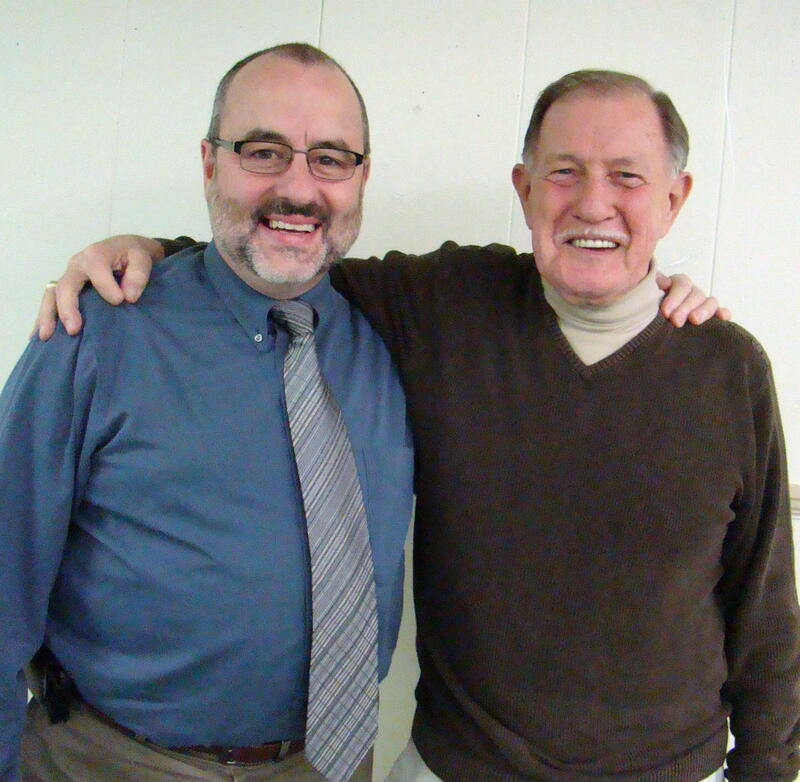 However, Bob Jonard found a great listening ear and enthusiasm in Ron Guthrie. Soon John Mehaffey and his wife, Frances, became supporters. This team put together that first show around their kitchen tables, and it was a great success. 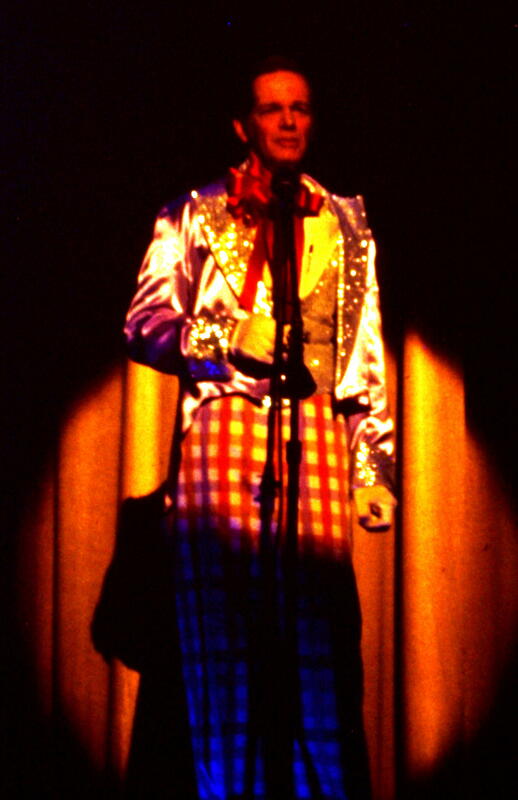 Many of the performers have been around since their youth, have gone away to college or jobs, and then returned to their home town to again join in the fun of the show. For many of the participants, this is one of the highlights of their year. While funny skits and jokes filled the State Theater years ago, music was the main part of the program and still is today. 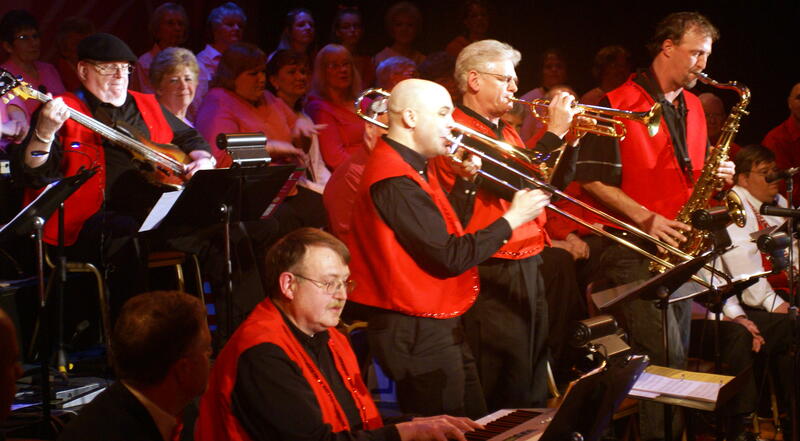 The chorus, groups, and solos would be at a loss without the accompaniment of the Lions Show Band. In the early years, the chorus only had a mimeographed copy of the basic music with no harmony parts included. They each sang their own special harmony to create a beautiful sound. Some of the songs from that first show included: A Bird in the Gilded Cage, Daddy Sang Bass, Sweet Gypsy Rose, and Mammy. The Flappers danced their way into people’s hearts with a bit of the Charleston to the then popular, Ballin’ the Jack. Since then, the can-can, black light dance specials, and even line dancing have entertained the crowds. You never really know what is going to happen at a Lions Club Show. The End Men and Interruptions create most of the laughter during the evening. The Lions Club members enjoy their own brand of humor as they tell jokes and often dress in outrageous costumes. They have great fun themselves while entertaining the crowd. Every year and even every night their antics are a little different. Focus for the Cambridge Lions Club is on helping the blind and visually impaired. These Knights for Sight use all proceeds from the show to help those in need pay for eyeglasses and eye-related treatments. Your ticket purchase helps a great cause! Even though The Lion Sleeps Tonight in Cambridge, Ohio, you can be certain to Hear Those Lions Roar on March 21, 22, and 23. They will be roaring their “Blast from the Past” at the Scottish Rite Auditorium with a 7:30 showtime each evening. They want to entertain you and will tell you in song, It’s true we make a better day, just you and me. They have over the years discovered that singing helps one harmonize with the universe. Come on and Celebrate! Coming to the show from out of town? From I-70 take Exit 178 at SR 209. Proceed west on 209/Southgate Road until you arrive downtown at the Courthouse. Make a right hand turn and two traffic lights later you are in front of the Scottish Rite Auditorium at the corner of Wheeling Avenue and 10th Street. It is across from the Cambridge Post Office. Coming from I-77, take Exit 180B, which is US 40 West. After approximately one mile, you will arrive in downtown Cambridge. At the corner of Wheeling Avenue and 10th Street, you will find the Scottish Rite Auditorium. Hope to see you there!